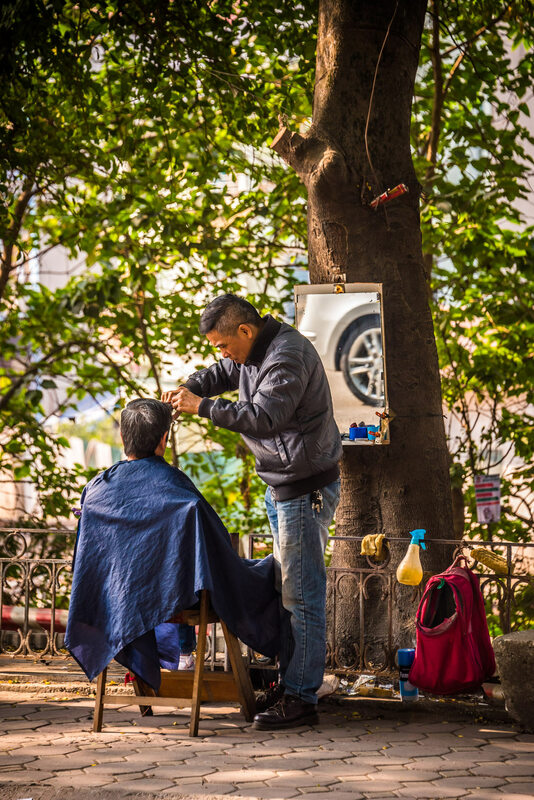 It’s early morning in Hanoi, and streetside vendors are already busy setting up their stalls. 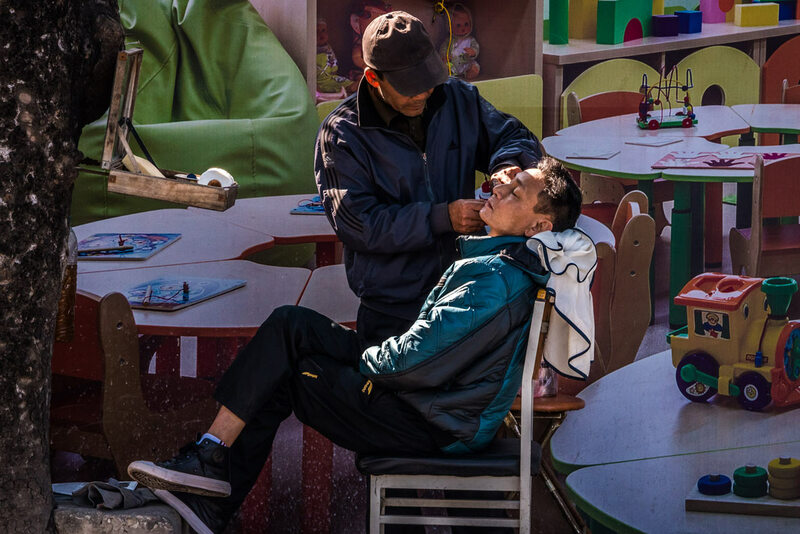 But among the peddlers hawking fresh produce, flowers, and snacks, one group in particular stands out: the barbers with makeshift salon seats set up right alongside the street. 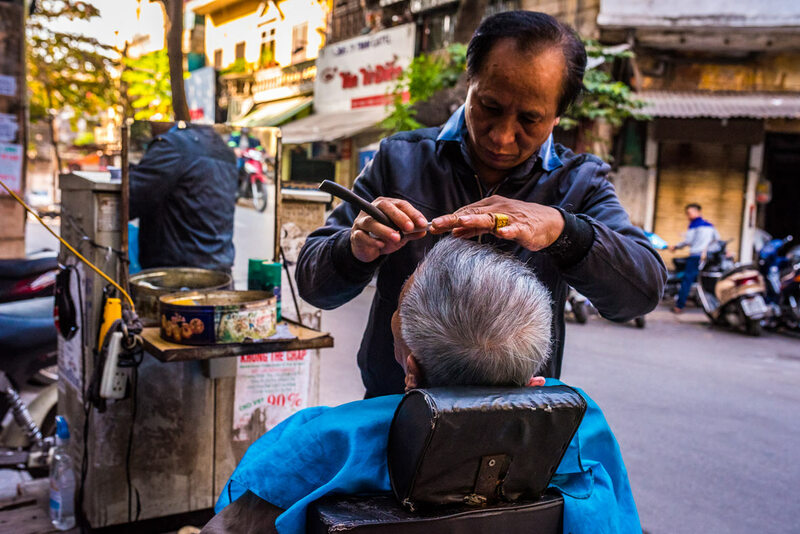 Over the past few decades, these barbers, equipped with only the bare essentials, have become a common sight among the hodgepodge of street vendors in Vietnam’s capital. 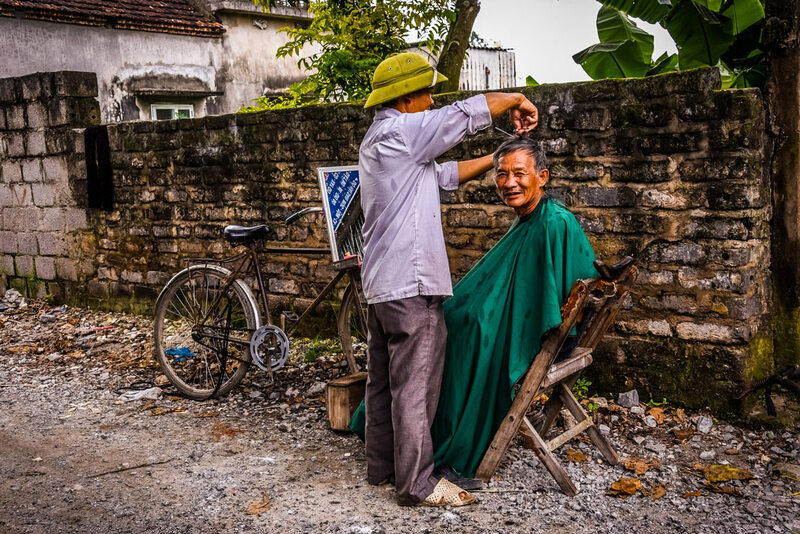 The early 1900s was the peak of popularity for outdoor barbers. 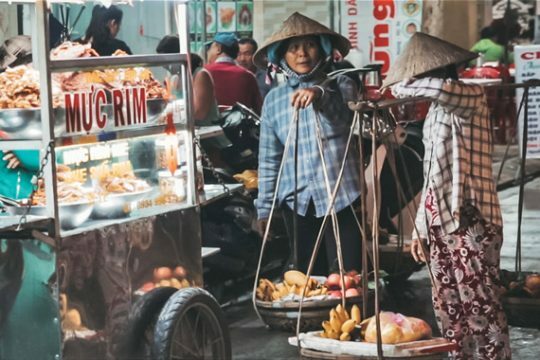 At the time, Vietnam experienced a period of economic uncertainty that forced many living in underdeveloped areas of the country to move to Hanoi in search of work. 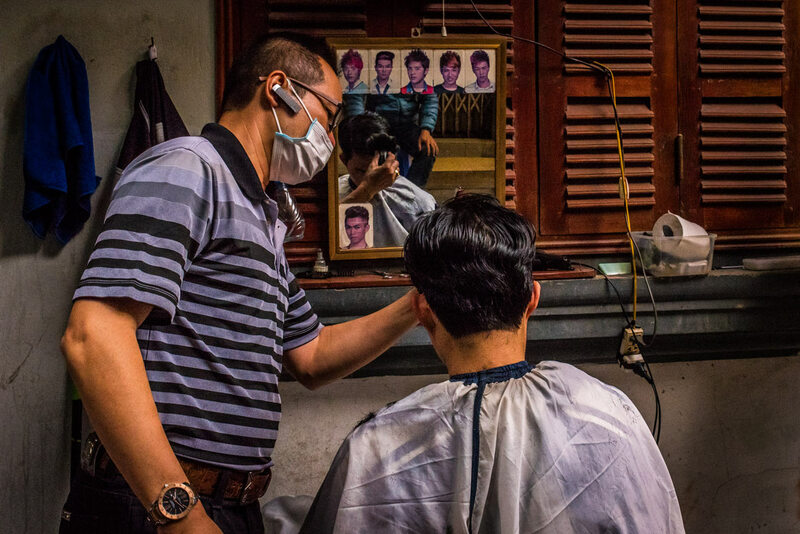 This was the case for many barbers from Kim Liem, a place dubbed as the “barber’s village,” who moved en masse into the city. 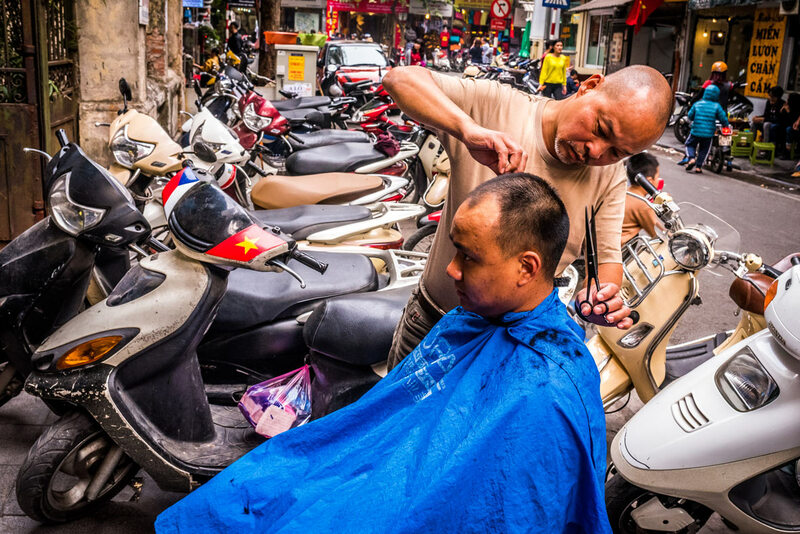 This migration of barbers saw entire boulevards in downtown Hanoi become massive, open-air salons. 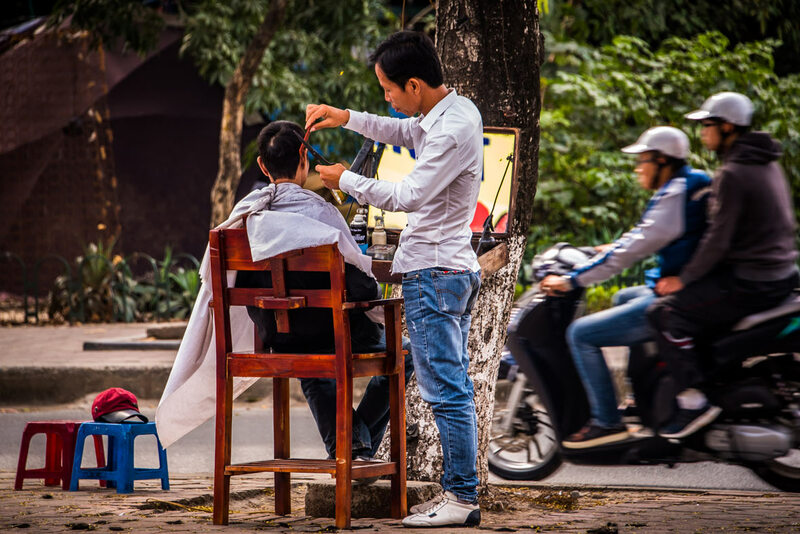 However, as Hanoi continues to grow, efforts to declutter the streets and clear out unlicensed businesses have been ramped up, and street barbers are among those targeted. 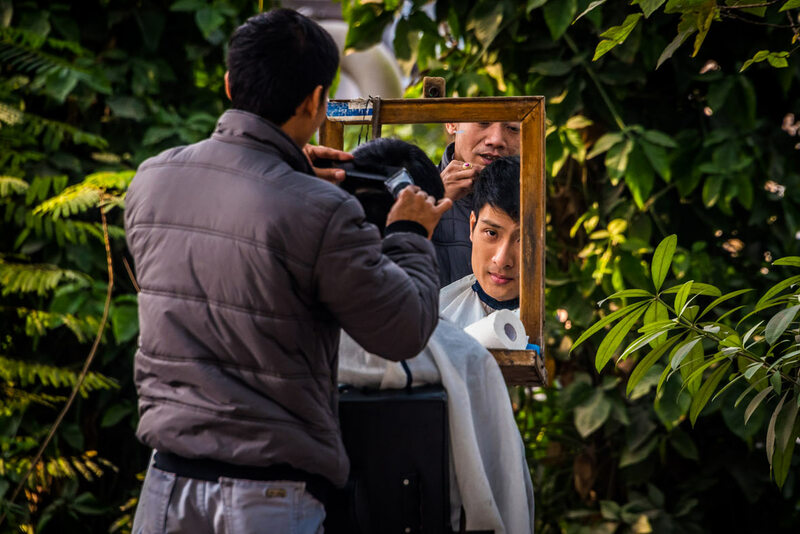 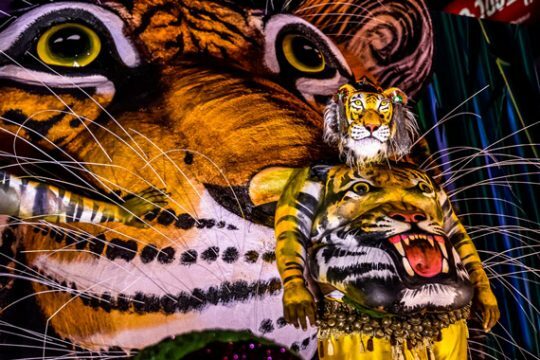 Waves of crackdowns have taken place over the years, but many persistent entrepreneurs return over and over, albeit in fewer numbers each time. 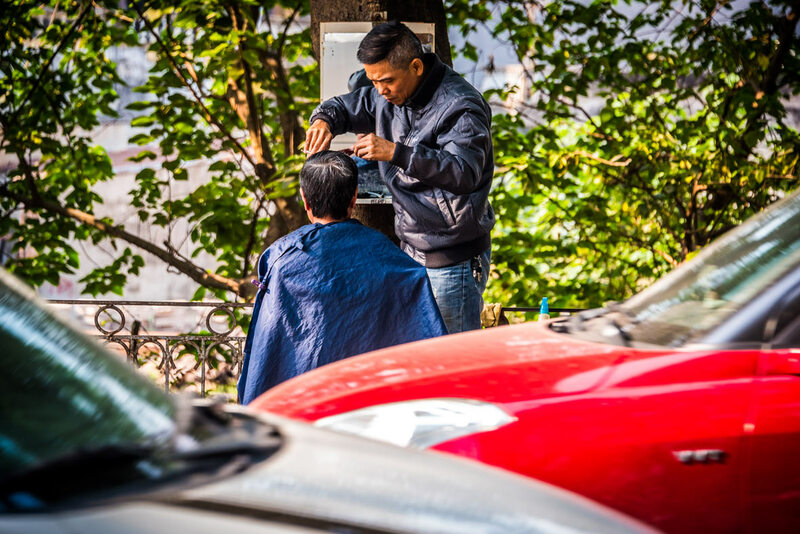 Authorities still regularly patrol the streets today, chasing off vendors and handing out fines. 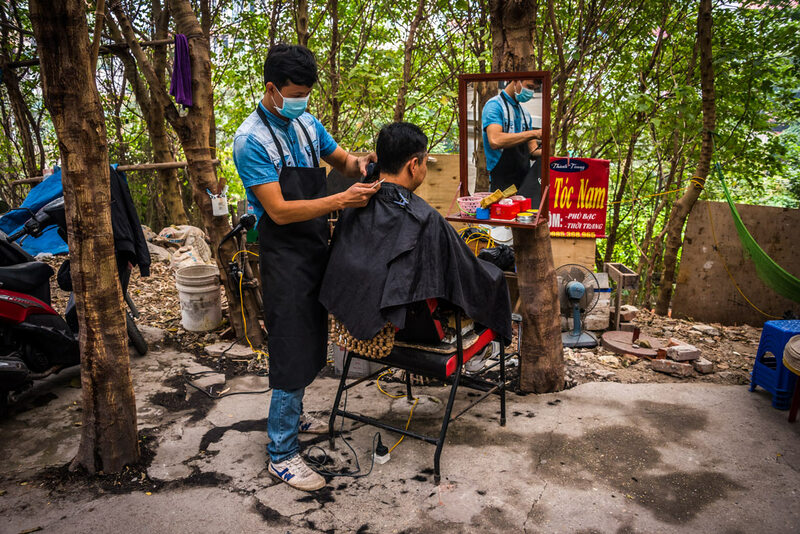 As a result of these clean-up campaigns, barbers with financial means have opened legitimate salons. 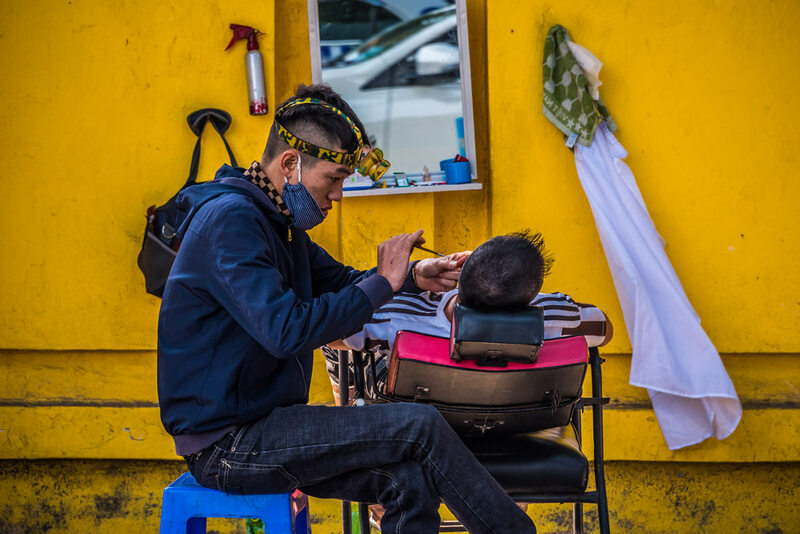 The less fortunate ones have been forced to switch careers entirely. 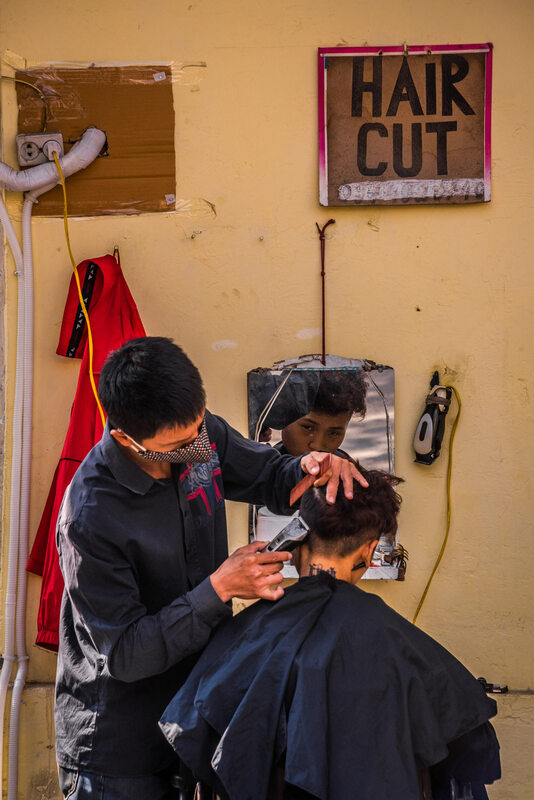 Today, the barbers that remain active are engaged in a constant game of cat-and-mouse with the authorities, rolling the dice everytime they set up shop. 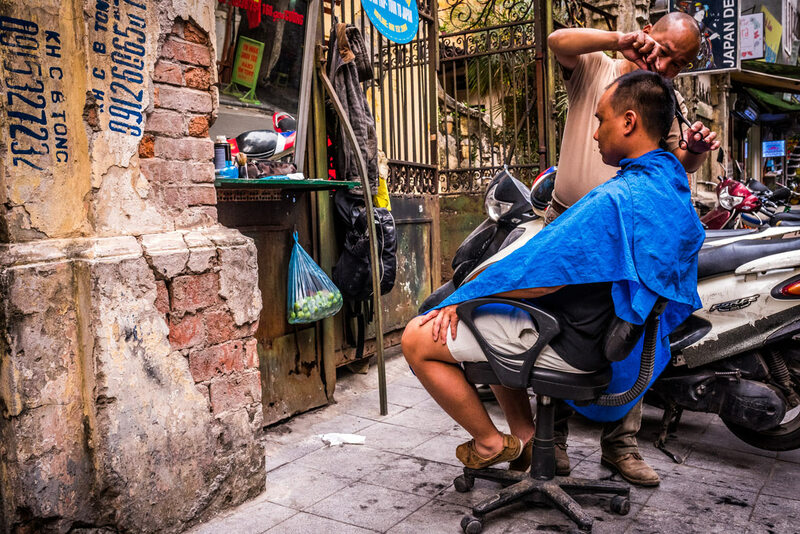 But as long as there’s demand for low-cost haircuts, there will be barbers willing to take the risk.